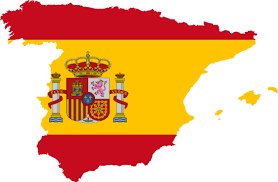 You need a Spanish N.I.E for business, property purchase, residence applications, opening a bank account...? Here you can order your Spanish NIE online, fast, safe and for good conditions. The fix fee is 169,00 Euro for EU-citizens and 295,00 Euro for non-EU-citizens (Switzerland, Liechtenstein, Monaco, Andorra...), all inclusive, including registration fees. We deliver your NIE by eMail and post mail within 3-5 days after receiving your data. In urgent cases, you will get our NIE by DHL or UPS. In this case, please select "NIE-Express" in the payment form. Pickup and delivery of your NIE to you by eMail and mail. Please use the following form, to order your NIE. Your application will be proceeded immediately after receiving your order and payment.